I'd been curious about this range for a while so recently I picked up three shades. Wearing Hue? is an opaque white color with iridescent micro-shimmer. 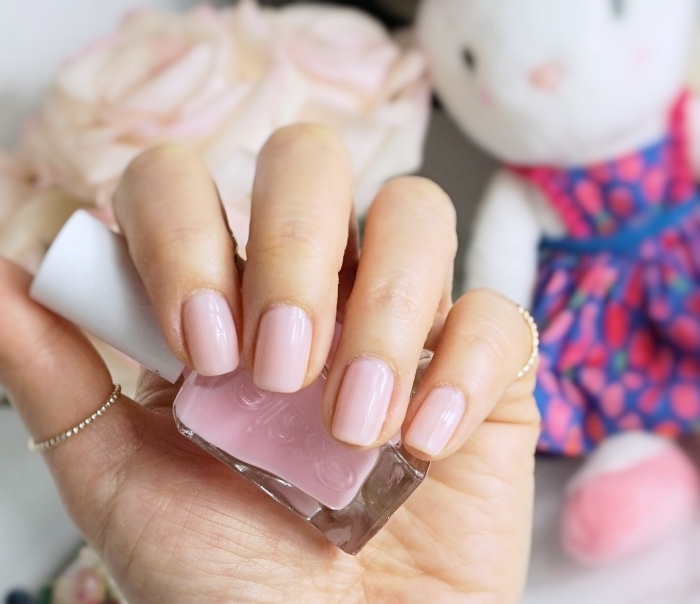 Fairy Tailor and Inside Scoop are sheer pinks in Essie's famous gel-creme finish. They all apply and last more than a week. However, I am not the best person to tell if this formula lasts longer than regular Essie nail polishes, because almost all polishes stay on without chipping between my weekly manicures. Compared to the classic Essies, the Gel Couture formula costs about $3 more per bottle and comes with a wide brush which I am not a big fan of. The twisted bottle isn't very practical for storage although some may find it attractive. I will probably stick with the original ones unless I spot a special color from the Gel Couture range. Inside Scoop is a tea rose pink with a blue undertone. For a sheer polish, it covers quite well and gives me the desired finish with two coats. 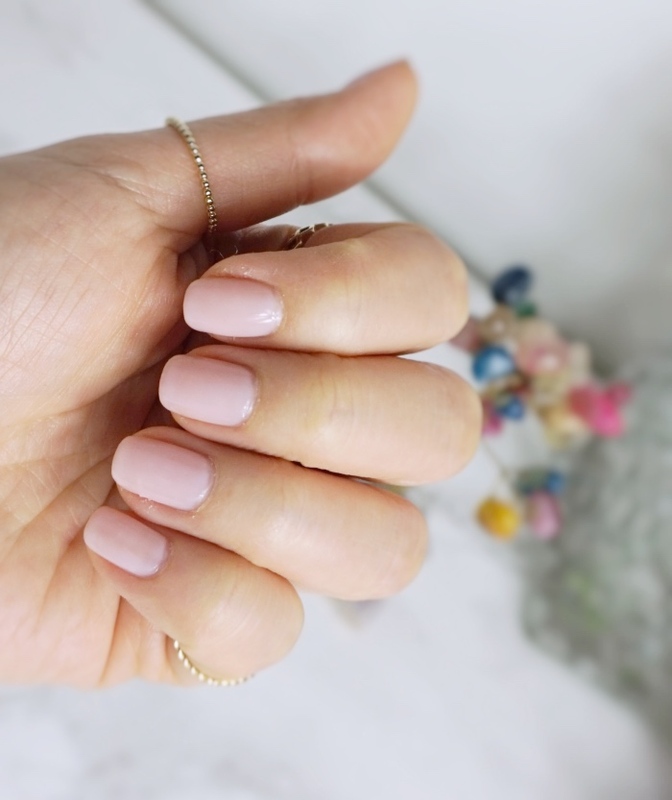 Once applied, the color doesn't appear as cool as you'd see from the bottle, which makes it somewhat neutral and more wearable. Essie Gel Couture Nail Polishes retails $11.50 and can be found at major retailers such as Ulta and Walgreens. 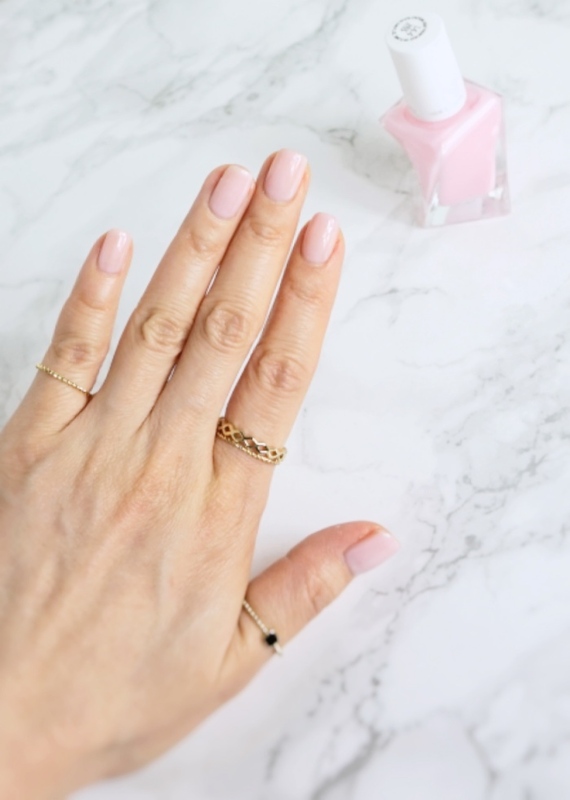 Have you tried Essie Gel Couture polishes? How do you find them performing compared to the original formula? The weather has been all over the place. I hope we'll have some real Spring weather soon. It felt more like Summer this past weekend which I'm just not ready for yet. I've seen these Essie Gel Couture polishes at Duane Reade but I never paid much attention because I thought the bottle looked wonky. So superficial I know ;p Thanks for sharing your thoughts on these Lena! All three shades you chose are so soft and pretty and Inside Scoop looks lovely on you! Happy new week! I feel so bad about those flowers that just bloomed. They have such faith then it's like the weather betrayed them ;-/ At least the rest of the week looks kind of consistent. Considering I have practically been in wintry clothing for the past four months, it’s a sigh of releif that we’ve recently had a proper spring day. 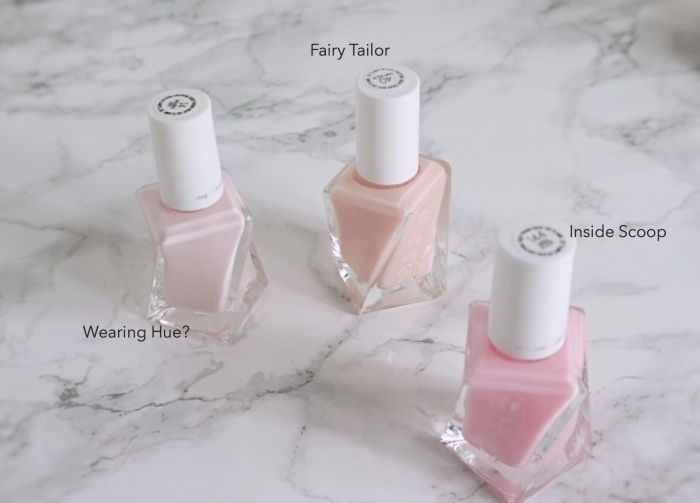 The Fairy Tailor colour is one that I don’t have, but the Inside Scoop hue is pretty and a nail varnish that I’d probably buy. I love semi-neutral manicures. Your nails are gorgeous!